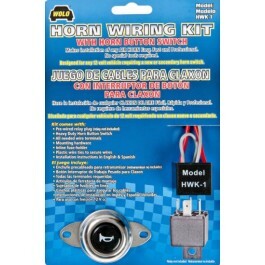 Wolo’s new horn wiring kit Model HWK-1 makes installation of any direct drive air horn (no tank) easy, trouble free and professional, without any special tools. 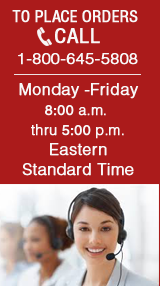 The kit is designed for any 12-volt car, motorcycle, truck and etc. Included in the kit is all that is required to install a direct drive air horn; wire harness with quick connect plug for the relay, terminals, in-line fuse, plastic wire ties and easy to follow instructions in English / Spanish. Horn relay is not included in kit. Model HWK-1 use when new a horn switch is required, horn button switch included.